GOODLETTSVILLE, Tenn. — Over the next two years, Dollar General Corp. plans to open nearly 2,000 new stores. The deep discount chain said late Wednesday that about 900 new stores and 875 relocations/remodels are slated for the current 2016 fiscal year. That will be followed up by approximately 1,000 new stores and 900 relocations/remodels in fiscal 2017. Dollar General reported that the store opening plan is in line with its annual target of 6% to 8% growth in square footage. Overall, the retailer had 12,483 stores in 43 states as of Jan. 29, the end of its 2015 fiscal year. “Dollar General has a powerful strategic plan that enables us to drive both the top line and bottom line to deliver strong financial returns as outlined in our growth model over the long term. With strong cash flow and an efficient capital structure, we believe that we have a compelling opportunity to invest for growth,” chief executive officer Todd Vasos said in a statement as the company prepared to hold its 2016 Investor Conference on Thursday. In outlining its business growth plan, Dollar General said it’s targeting annual increases of 7% to 10% in net sales, 2% to 4% in comparable-store sales and 7% to 11% in operating profit, as well as capital expenditures of 2% to 3% of sales. With their steady expansion and penetration deep into communities, dollar store chains continue to present a stiff competitive challenge to drug stores in the front end. 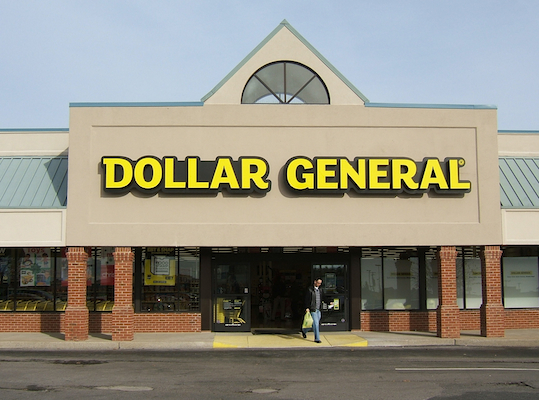 Along with the more than 12,000 Dollar General stores, chain drug retailers are up against the 13,851 stores in 48 states and five Canadian provinces operated by Dollar Tree Inc., which last year closed its acquisition of rival Family Dollar Stores Inc.
What makes dollar stores a particularly tough competitor to drug stores is that they offer similar shopping attributes — small stores in convenient neighborhood locations — but with deep discount pricing. That combination has proved to be attractive to many consumers in recent years, especially as lifestyle changes have resulted in more frequent but smaller shopping trips. In addition, these retailers offer a robust merchandise mix, spanning food, snacks, health and beauty aids, over-the-counter medicines, cleaning supplies, apparel, housewares and seasonal items and featuring both leading national brands and strong private labels. Dollar General, the largest dollar store chain by revenue, saw net sales climb 7.7% to $20.4 billion in fiscal 2015. The company noted that product categories seeing the biggest sales gains included candy and snacks, perishables, tobacco and food. Same-store sales rose 2.8% for the year and reflected increased customer traffic and average transaction amount, the retailer said.